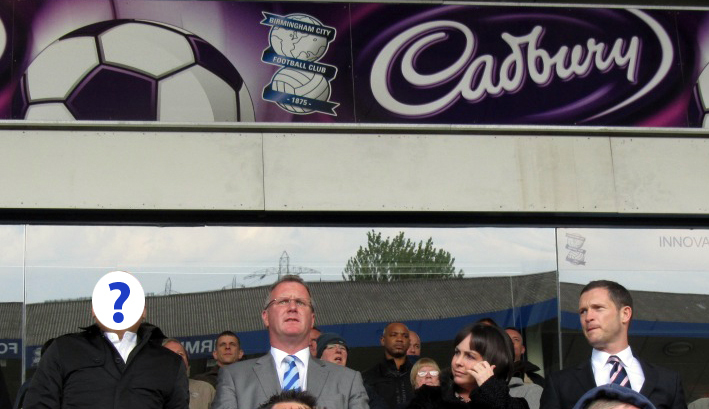 Before I write anything else about possible new owners for Birmingham City FC I want to make it clear that these ramblings are just hypothetical. I can’t reveal any inside information on who might want to buy the club. I haven’t spoken to anyone at the club or to anyone in Hong Kong or to Colin Tattum or to Tom Ross or to the next door neighbour of the cousin of the man who cuts the grass at Wast Hills Training Ground. If you are looking for the latest scoop, you’re looking in the wrong place. The impression I get from browsing the fan forums is that most want new owner(s) but that there is less agreement about what kind of owner they want. Some seem to hanker after a white knight, who will gallop up and invest enough money to get us back into the Premier League. Others could do without promotion if the new owner brought stability and prudent financial management. How would you feel if the following two potential owners were trying to buy the club? Mr Moneybags A super rich investor with no previous connection with the club but with plans to invest enough to get us back into the Premier League. Mr Fan A rich business man who has been a life-long Blues supporter. He doesn't have enough money to get Blues back into the Premier League but plans to run the club in a financially sustainable way. I’d choose Mr Fan every time. Please use the poll below to let me know who you would choose. It will also let me know if I’ve installed my Polldaddy plugin correctly. This entry was posted in Birmingham City FC, Football and tagged Birmingham City F.C., Football on June 25, 2013 by Puddleglum. 2 thoughts on “What do you want? Stability is my choice the Premier League will run it’s course until the hype subsides and ore clubs go out of business. At the moment fans money goes primarily into the players pockets and out of the game I sit in my season ticket seat to watch my club, BCFC not a mercenary who pulls on the shirt he is paid most to do. Love watching the kids and the commitment they bring. I’m deeply tired of the Championship, and it’s clear that for a team to be anything it needs to be in the Premiership. I’d take a money bags owner (who will be solvent if he’s got money anyway) over a fan who will just keep us ticking over.